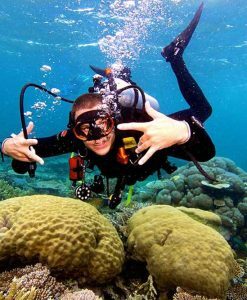 Port Douglas offers truly world class blue water spearfishing opportunities on the Great Barrier Reef. 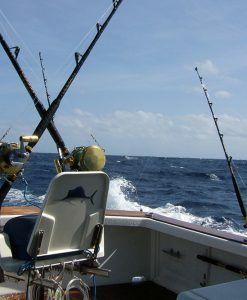 Spearfishing charters from Port Douglas are however, only available on a private charter. There are no shared charters for spearfishing. 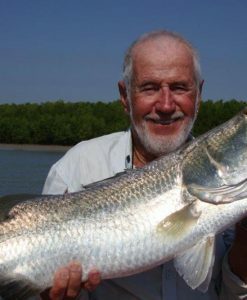 As there are some good smaller sized boats available for charter, a spearfishing charter can be arranged for smaller groups of keen spear fishers on a budget. There are also some quality spearfishing charter opportunities available for larger groups. 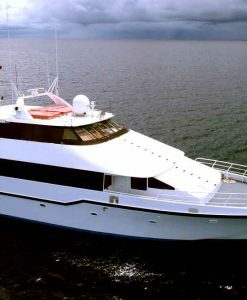 All you need to do is get your group together and call Port Douglas Reef Charters. 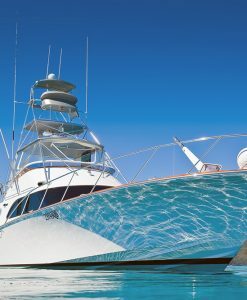 The best boats for Spearfishing in Port Douglas! The waters of the Great Barrier Reef off Port Douglas are rich in marine life. Many quality table fish species are abundant. 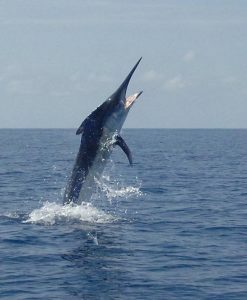 The beauty of spear fishing of course, is that you can selectively target individual species. Spearfishing is Eco fishing at its finest and a very sustainable way to fish. Species commonly targeted for spearfishing are Coral Trout, Mangrove Jack, Mackerel, Dog Tooth Tuna and Trevally. 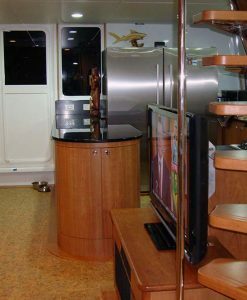 Of course the beauty of organizing a private charter is that you can be more flexible. Want a painted cray for dinner? No problem. The crew of your private spearfishing charter will tailor your charter to suit your requests. The Great Barrier Reef and Port Douglas offer “Bucket List” spearfishing experiences. 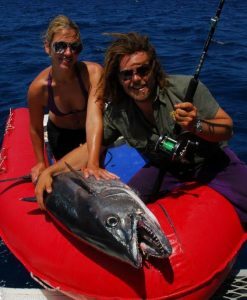 Try the shallow reefs for spearing Trout and Spanish Mackerel, or for a huge adrenaline rush you could do some spearfishing off the continental shelf in the blue water for pelagic fish such as Yellow Fin, Wahoo or eve Black Marlin. There are sea mounts, and very remote reefs that really offer the very best spearfishing in the world. It’s really important to get crew on your spearfishing boat that are passionate about what they do. The crew also need to know the reef like the back of their hand. The specialist boats know the best spots to go to and will sometimes have a tender for your use. 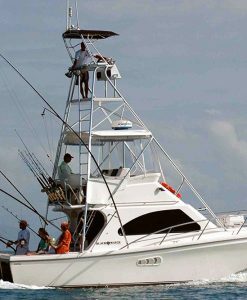 Ideally the best spearfishing boats will have ample deck space and also freezer space so that you can keep some of your catch if you desire. Usually, all you need to bring on your private spearfishing charter is your personal spearfishing equipment, spearguns, wet suits and or lycra suits and your floats (must be at least 700mm long and 250mm diameter). The rule of thumb is the longer the trip the further you can go exploring and spearing! 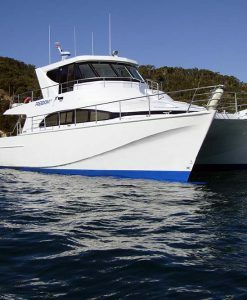 Port Douglas Reef Charters has the industry contacts to arrange the perfect spearfishing charter for your group on the Great Barrier Reef.